io9 is proud to present fiction from Lightspeed Magazine. 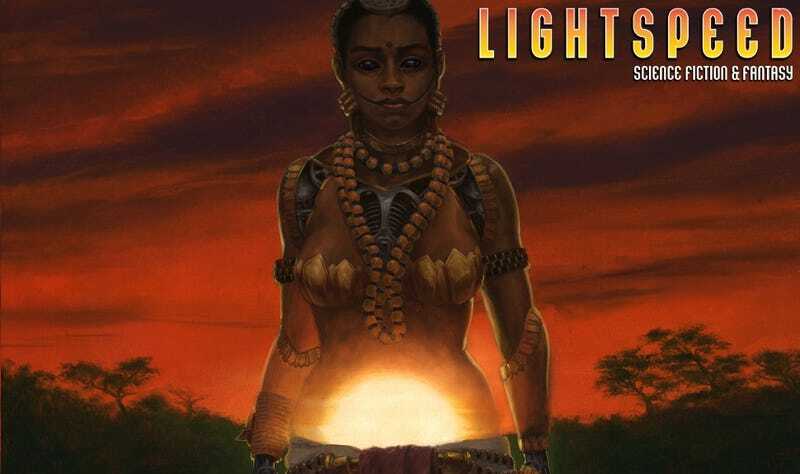 Once a month, we feature a story from Lightspeed’s current issue, and this month’s selection is “World of the Three” by Shweta Narayan. You can read the story below or you can listen to the podcast. Please visit Lightspeed Magazine to read more great science fiction and fantasy. This story first appeared in the June 2017 issue, which features eight science fiction and fantasy short stories, plus a novella, nonfiction, and novel excerpts. This issue also contains work by Vandana Singh, Elizabeth Bear, Scott Dalrymple, Matthew Kressel, Carlos Hernandez, Pat Murphy, Ben Hoffman, Seanan McGuire, Desirina Boskovich, and more. You can wait for most of this month’s contents to be serialized online, or you can buy the whole issue right now in convenient ebook format for just $3.99, or subscribe to the ebook edition at a discounted rate via the link below.